Alex Honnold and Tommy Caldwell were at it again today. 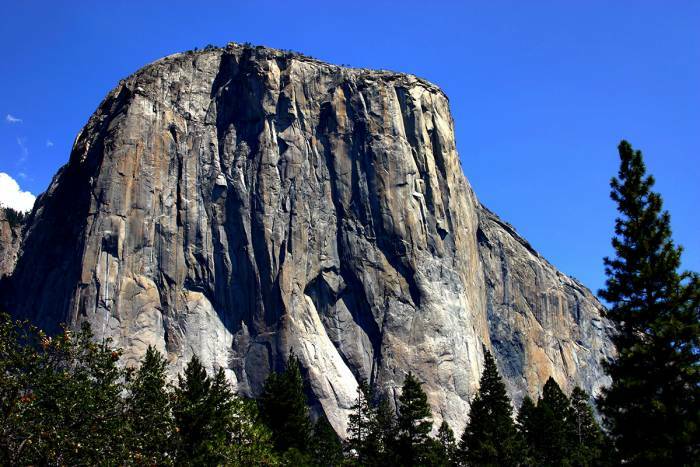 They set the speed record up The Nose of El Capitan for the second time in less than a week. This time, the duo climbed the route, the most iconic in California’s Yosemite National Park, in a blazing 2 hours, 1 minute, 50 seconds, according to a report in Rock and Ice. Just last week, the team set a record time of 2 hours,10 minutes,15 seconds. Knocking nearly 10 minutes off their previous fastest time, it seems a sub-2-hour climb of the Yosemite test piece is only a matter of time. The Nose is 2,900 feet high and has 31 pitches. It’s steep, exposed, and extremely strenuous. Most climbing parties take several days, spending nights on the wall. Yosemite’s El Capitan is also seen as the classic test for speed climbing. Elite big-wall climbers cut their teeth against the feat, with records falling year after year. The pros dial in specific pitches and learn to move as fast as possible. However, speed climbing also carries increased risks. Last weekend, two climbers, Jason Wells, 45, of Boulder, Colo., and Tim Klein, 42, of Palmdale, Calif., fell to their deaths off the Free Blast route on El Capitan. The duo was simul-climbing — a practice often used in speed climbing — when the accident took place. But today, Caldwell and Honnold found success on the granite wall, pushing the limits of human ascent to unthinkable levels. Congrats to them both as they inch ever closer to the two hour benchmark.